When it comes to modern mentalism, hypnotism is a must have skill. Understanding hypnosis is not only useful for stage hypnotism but the skills are used throughout your show. Derren Brown practised hypnotism before he was ever a magician or mentalist. He has used hypnosis to create amazing effects both on TV and in his live shows. Correctly identifying deception is useful in a whole host of tricks. You can use lie detection to put on a show at a party or in the street or use the skills as part of a wider routine. The DVD includes a hypnosis session which programmes lie detection into your unconscious mind and examples of celebrities lying. At the minute the DVD is on sale for only $14 and also comes with a 1 yr money back guarantee. It is definitely worth a look if you want to improve your lie detection skills. The techniques in this DVD will allow you to hypnotise people 1-on-1 or in groups. You will be able to hypnotise friends at home or parties or put on a hypnotism show. The fundamentals of hypnosis are taught in this 2 hr DVD including inductions, suggestions, language patterns, suggestibility tests, hypnotic voice training, rules of the mind and post-hypnotic suggestions. The DVD is 70% off at the minute ($14) so now is the time to buy. 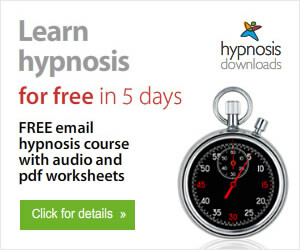 Hypnosis Downloads is a site run by professional hypnotherapist trainers with many years of experience. If you want a free course to introduce you to hypnosis and learn the basics this is it. If you want to learn to hypnotise and other mentalism skills sign up for the free 10 part mentalism course now.